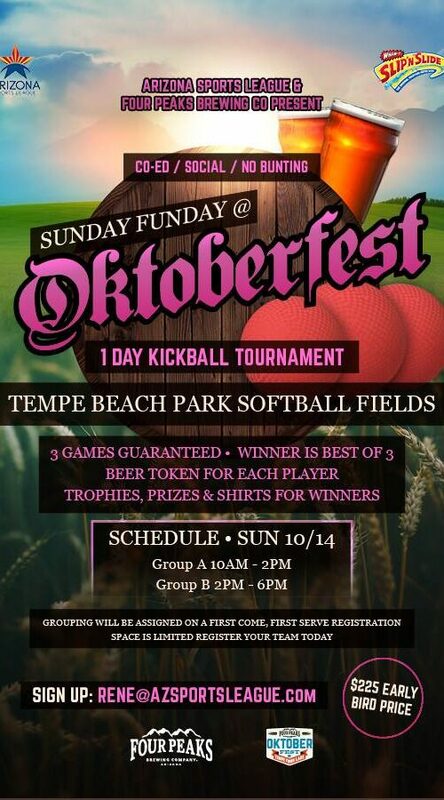 Join us for the annual Sunday Funday Kickball tournament @ Four Peaks Oktoberfest in Tempe! This epic day of kickball fun is the perfest way to kick off the fall. Beer, music and kickball with friends at Tempe Beach Park. Win!